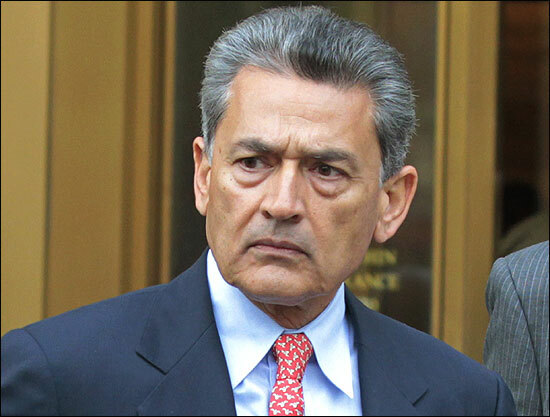 Diwali for Rajat Gupta, facing insider trading charges, was dark but the Indian-American poster boy of Wall Street success felt it was auspicious to surrender on the day of the festival of lights, thinking that "Gods will protect him". Gupta's fall from grace came on the day his native country India was celebrating Diwali, a festival that marks the triumph of good over evil. "He believed it was auspicious to surrender on Diwali," the Wall Street Journal quoted 62-year-old Gupta's childhood friend Anand Julka as saying. Julka said he spoke recently with Gupta. "He (Gupta) believes he is innocent and the Gods will protect him if humans fail," Julka said explaining why Gupta chose Diwali to surrender to authorities. Julka recalls that after the May conviction of Gupta's billionaire friend hedge fund founder Raj Rajaratnam, Gupta "seemed worried and nervous about his own future. He was distraught. He seemed upset." 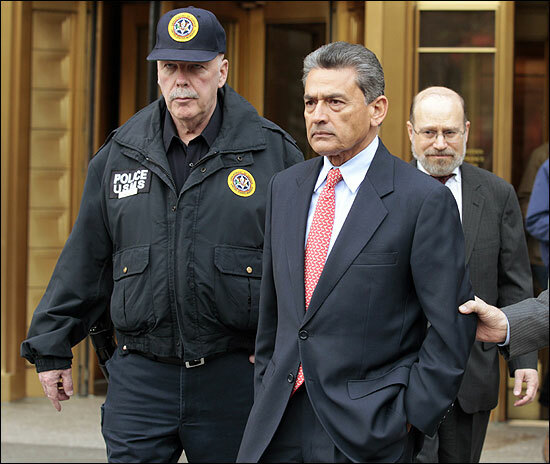 Image: Rajat Gupta exits Manhattan Federal Court in New York. During a visit to Gupta's home in August, Julka said he had congratulated him on the Securities and Exchange Commission's decision at the time to drop its civil case against him in the insider trading scheme. Gupta told Julka it was "too early" for expressing relief and celebrations, and added that the US has "a right to indict me still". Orphaned at the age of 18, Kolkata native Gupta attended Harvard Business School. "His character was shaped by the death of his parents in his teenage years," Julka said. "Suddenly, he became the head of the family. It made him very compassionate," according to Julka, who owns an information-technology firm in Cleveland. 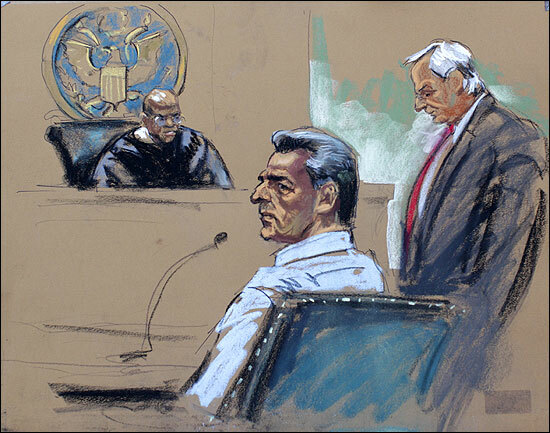 "He was a lot more mature than all of us"
Image: Rajat Gupta is seen in this courtroom sketch during his appearance in Manhattan Federal Court in New York. "Regardless of the case's outcome, the charges punctuate a stunning fall from grace for Gupta, whose personal story reads like a caricature of a Horatio Alger tale," the New York Times report said. An IIT alumnus, Gupta had earned a scholarship to Harvard Business School and graduated at the top of his class, securing a coveted job at McKinsey & Company. At the age of 45, he was elected to run the firm, becoming the first non-American-born executive to run McKinsey. Gupta also set up the American India Foundation and was viewed as a master networker, establishing contacts with former President Bill Clinton, Microsoft founder Bill Gates, and Hank Paulson, the former Goldman CEO and US Treasury secretary. Gupta and his wife were among those invited to President Barack Obama's first state dinner. The Wall Street Journal said Gupta's ability to cultivate contacts, along with their South Asian heritage, was a quality he shared with Rajaratnam. "Gupta and Rajaratnam had vastly different personal styles. The square-jawed Gupta was quiet and distinguished; the portly Rajaratnam was rougher around edges, and enjoyed practical jokes," WSJ said. While Gupta had a more public persona, Rajaratnam was far richer. 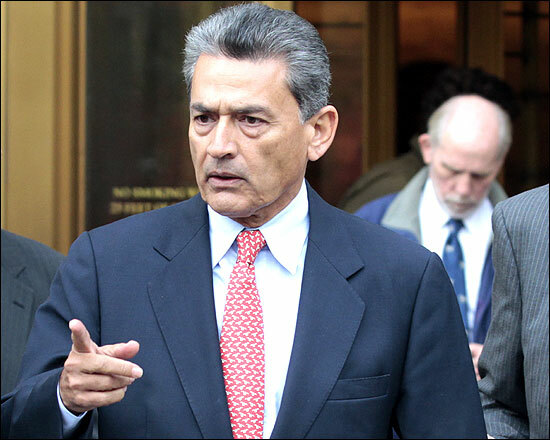 "They established a rapport and Gupta often would have lunch with Rajaratnam in the hedge-fund manager's office, ordering in Indian or Chinese food," a report in the Wall Street Journal said. Gupta's stature and power in business circles far exceeded his personal wealth, which paled next to Rajaratnam's $1 billion net worth. Starting around 2003, he hoped to enter super-wealthy circles through his investments with Rajaratnam. He invested more than $2 million in two of Galleon's offshore hedge funds. Image: Gupta with his lawyer Gary Naftalis. Gupta and Rajaratnam formed another fund, the Voyager Special Opportunity Fund, and they signed up a number of South Asian business leaders to invest. They also organised Taj Capital Partners, later known as the New Silk Route fund. "There is a lot of insider trading - and some of that goes to high places," the WSJ report quoted Charles Munger, vice chairman of Berkshire Hathaway as saying. Rajaratnam, who then traded on those making profits in millions of dollars. Wall Street Journal said the charges against Gupta represent a "gamble for the government". Manhattan US Attorney Preet Bharara's office debated whether to bring charges, people familiar with the matter say. "The government doesn't have wiretapped recordings of Gupta passing inside information about the trades at issue by Rajaratnam - making the case potentially more difficult for prosecutors. 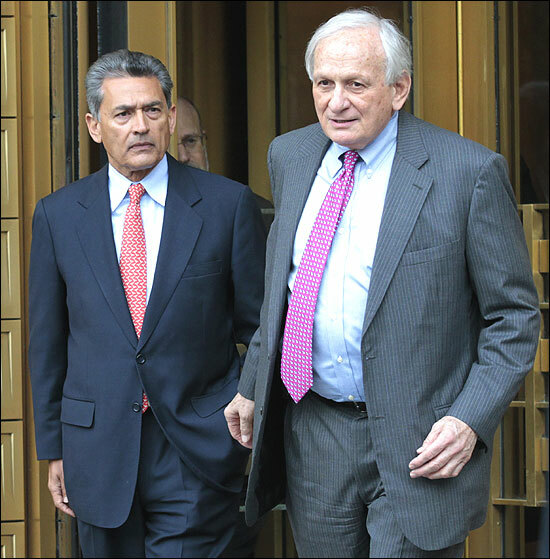 A loss at trial could detract from a run of victories against insider-trading defendants," it said. Gupta's motives and the fact that he wasn't paid for any alleged tips, could be important if he goes to trial, because insider-trading law generally requires the government to prove that tippers received some benefit to prosecute them for leaking inside information. Jonathan Sack, a securities lawyer in New York, said based on Supreme Court case law, the Justice Department won't have to prove that the benefit Gupta received was direct or financial in nature. Gupta is the 56th person charged with insider trading by federal prosecutors in New York over the past two years; 51 have been convicted or pleaded guilty. Many of those resulted from the government's probe into the Galleon Group, which was founded and led by Rajaratnam. 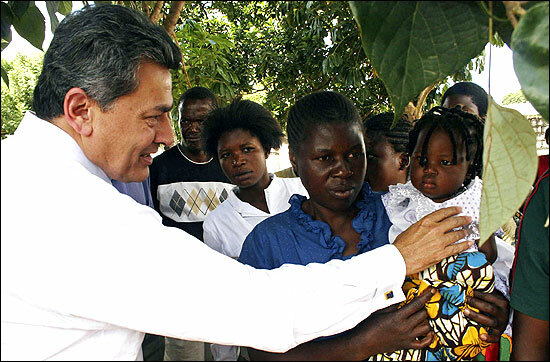 Image: Rajat Gupta greets a child at a clinic in Lusaka. Is it time to privatise oil trade in India? Can the United States 'contain' Pakistan?